The ‘Secret banner’ has returned for Week 4 of Fortnite Season 7, and here’s how to find it! Each week, players can earn a new loading screen by completing all of the challenges for that respective week. 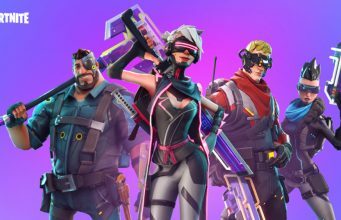 Players can use the loading screens to find hints for the weekly secret Battle Star or banner, however, the clues can often be difficult to notice. Week 4 of Season 7 features a Fortnite character on the unreleased ‘Drift board‘ over what appears to be the newly-added ‘Happy Hamlet location. Just under the right end of the Drift Board, a small banner can be viewed on a wall. Players will need to go to Happy Hamlet to secure the Secret Banner, and position themselves near the eastern clocktower in the town. Stand behind the clock tower and look directly North. There, you should be able to view the green Banner on the building. Once again, it should be noted that you will only be able to see and collect this Secret Banner after completing all of the Season 7, Week 4 challenges. After collecting the Secret Banner, players must either die or secure the Victory Royale for it to count in their inventory. Do not leave the game early, as your progress will not be saved. All of the Season 7, Week 4 challenges can be viewed RIGHT HERE.